Today is probably a star day for Kickstarter projects as far as we care. We have already featured a couple, and here is another one that has already hit its funding within ten days of going on! So what is it? A chair that is designed to support your body in the same way your spine/bones support it while you’re standing. Why? Because us humans are not really designed to sit, and definitely not for the long hours we spend in front of computer screens at office. So how much will one of these cost you? 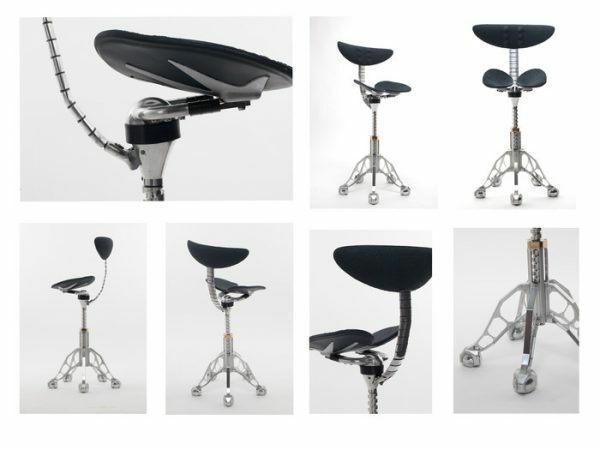 £319, which for a good office chair is not bad at all! The best part is, they have already thrown in free delivery, so you won’t be suddenly paying an extra tenner just because you live next door the inventor! The product has been designed by inventor and osteopath Simon Freedman, and the way we see it, it could be the chair of the future. Yeah, you won’t be cuddling in front of your partner on one of these, but hey, at work, you need to be on your mark, and this is the chair to do it! Visit their Kickstarter page to find out more, and get one of these. Since they’re already funded, you know you’ll be getting your chair!